Awards Received in 16th Middle East Corrosion Conference, (Feb. 8~11,Kingdom of Bahrain, 2016). 1:Farid Abdullah (Best Poster), 2:Junaid Ahmad (Best Paper Presentation). 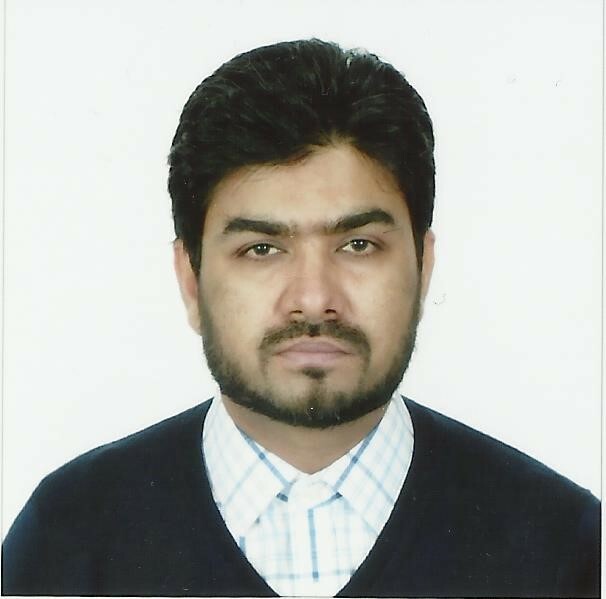 Junaid Ahmad, “Development and characterization of ferritic & austenitic SSs by powder metallurgy", Dec. 2015. Dr Ihsan-ul-haq Toor joined ME Dept. 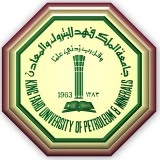 KFUPM in Sep. 2010 and is working in the area of “Materials Electrochemistry”. Before joining KFUPM, Dr. Toor has worked as a “Senior Research Engineer (Materials and Corrosion)” in “Coating & Corrosion Research Center” of Samsung Heavy Industries, South Korea for about three years. Dr. Toor received his B.S. degree from University of Engineering and Technology (UET), Lahore in 1999. Then he moved to Korea Advanced Institute of Science & Technology (KAIST) South Korea in 2001 to pursue his graduate studies. He received his Master’s degree in 2003 and PhD in 2008 from Dept. of Material Science and Engineering, KAIST. Dr. Toor is an active member of different societies such as; ECS, NACE, PEC, CSK and is a regular reviewer of different international journals. He is author/co-author of about 50 journal, conference papers and presentations. Dr. Toor has been mainly involved in the development of new corrosion resistant materials (metallic alloys and coatings) for different industrial applications. His focus has been stainless steels, Al alloys and Ni-base alloy. He has developed different alloys (by powder metallurgy and casting routes) with optimized corrosion resistance properties. Along with fundamental corrosion research, “in-depth and in-situ EC investigations” were conducted with tools such as photoelectron spectroscopy/Mott-Schottky etc. to understand the passivity of such alloys. Since joining KFUPM, Dr. Toor is actively involved in various research activities related to Material Science and currently running number of funded research projects. Being the director of ME Corrosion Lab, he has recently equipped his lab with “Erosion and Erosion-Corrosion” testing facilities and improved the lab capability to conduct various electrochemical tests. His ongoing research work is related to “Corrosion in the oil and gas”, “Top of the line corrosion challenges”, “Scales and Material degradation”, “Erosion-Corrosion”, “Surface modification effect on corrosion”, “Corrosion modelling”, “Nano-material synthesis via electrochemical routes for renewable energy applications, i.e. for production and storage” etc. IH Toor “Effect of Sintering Holding Time on the Corrosion Properties of Nano-Structured Fe-18Cr-2Si Alloy Prepared by SPS”, Accepted (2016), Int. J. Electrochem. Sci., Int. J. Electrochem. Sci. Kkoch Nim, I.H.Toor, Ahn soohoon and H.S.Kwon, “Influence of Cu on the Passivation Behavior of Fe-20Cr-xCu (x=0, 2, 4 wt.%) Alloys in Sulfuric Acid”, CORROSION, Vol. 69, No. 6 (2013), pp. 560-567. I.H.Toor, M.Ejaz and H.S.Kwon, “Effect of TiO2 on the Repassivation kinetics of Alloy 600 in Caustic Solutions”, CORROSION, 69, (2013), pp. 590-567. The Mechanical Engineering Department has become a multi-disciplinary department. Its research areas encompass a variety of different topics. Dr. Ihsan-ul-Haq Toor	has been working in collaboration with multiple funding agencies and researchers to deliver multitude of research publications. Copyright © 2014 All Rights Reserved by King Fahad University of Petroleum.